Click on the ‘Libraries' tab in the main menu at the top of the page. 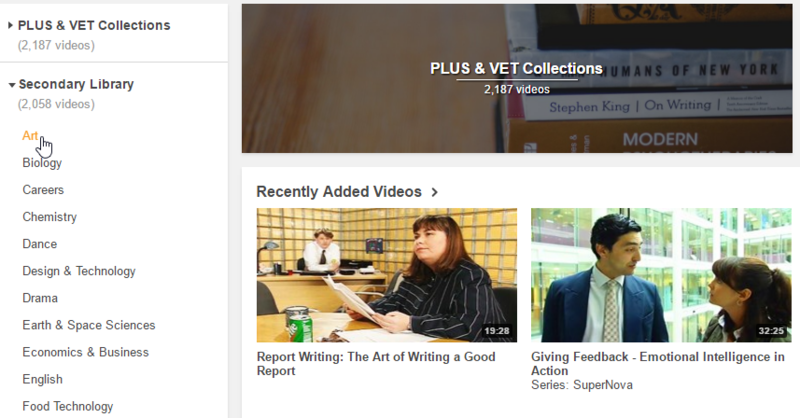 You can browse through library videos by category using the menu on the left hand side of the page. Once you have found a video you wish to share, click on the ‘Share’ button. The popup that appears will provide you with a link to the video. You can share this link with other teachers and students in your school. Advanced users can also share the video by embedding it in their website or learning management website. To learn more about embedding ClickView videos, see the following tutorial: How do I embed ClickView content?